First stop at an incredible and historical wine castle in Fronsac area for an unforgettable tour of its huge underground cellars and. Then, you enjoy a trail in the vineyards overlooking ever-ending vineyards and the Dordogne River. Lunch at the castle or picnic in the vineyards depending of the weather. We drive you to another majestuous and historical wine castle located in Pomerol, few kilometers away from Saint Emilion. The chateau is surrounded by a romantic 15 hectares park created in the XIXth century with bicentennial trees and, of course, vineyards that produce great Wines from incredible terroirs of Bordeaux’s right bank. First introduction to Bordeaux wines with our wine expert who will introduce the different main grapes and appellations of the whole region. Dinner at the Chateau prepared by the chef of the castle on a terrace overlooking the vineyards or inside a beautifully decorated dining room also used by the owner himself. A stroll through the narrow streets is the ideal way to discover the magnificient medieval town of Saint Emilion, a magnificent medieval village, the capital of wine and and Unesco heritage village. We continue the discovery of the region with a drive through the Saint Emilion vineyards, the world famous wine area, listed as World Heritage by UNESCO, where two thousand years of a relationship between man and vines await you. Private visit and Wine Tasting of Wine Chateau , a Saint Emilion Grand Cru Classé. You’ll also have the opportunity to walk under the vineyards and discover a hidden cellar and underground chapel where hisotry and terroir speak by themselves. Great wines will be tasted with a and great view on Saint Emilion village. What else? Drive to Pessac Leognan area (1 hour), one of the most beautiful vineyards (Graves Appellation located South of Bordeaux city, on the left bank of the river Garonne) and the oldest wine-growing region of Bordeaux. 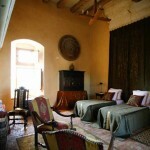 Now, you are hosted by the owner of another wine castle, the wine grower himself. The region spans the left bank of the Gironde from the mouth of the river to the city of Bordeaux and includes the four famous communes of St-Estephe, Pauillac, St. Julien and Margaux. All the wine made here is red. 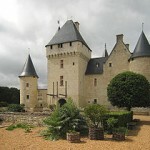 Private visit of ranother famous chateau, Chateau Gruaud Larose Saint Julien Beychevelle. Chevalier de Gruaud and Chevalier de La Rose owned this 70 hectare estate in Saint-Julien in the mid-18th. Their two names were first associated on a label in 1781. Winery tour of Chateau Smith Haut Lafitte, ranked among the Grands Crus Classés for red wine. The house has been transformed during the last decade from being a common Bordelais wine to being one of the leading estates in the Graves. 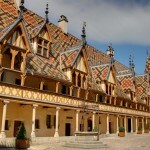 WineTravel in France is the travel agency expert on Wine & Travel in Bordelais, Champagne and Burgundy wine routes. Trust our 15-year experience in the travel industry and our passion for Wine and French Art de Vivre. I learnt in French Wine & Culture in 7 days what I've been trying to learn in 15 years!